As a business owner, you’ve likely encountered vehicles that have been illegally parked on your property. B&M Towing in Arverne, NY, knows how frustrating this can be, which is why they’re equipped to provide auto towing services for those with private parking lots and blocked driveways. However, when investing in their towing services, it’s important to take the right steps and notify the proper authorities, so B&M Towing has compiled some tips for you. One of the first things you should do before calling a towing company to remove an illegally parked vehicle is make sure you’ve got the proper signage posted. Such vehicles can be towed at the car owner’s expense in most cases, but for you to have the legal authority to do this, a sign stating as much needs to be visibly located somewhere in plain sight of the private parking lot. If such a sign can’t be seen from where the car is parked, the driver of the vehicle may have legal recourse to challenge your actions. If you’ve verified the proper signage is posted notifying any vehicle owner their car can be towed for parking illegally in your private parking lot, you are within your rights to call a licensed and insured towing company. Hiring a professional will ensure the vehicle being towed isn’t damaged: The professionals from B&M Towing will carefully document the condition of the vehicle when it leaves your property and arrives at their lot as an extra layer of oversight. 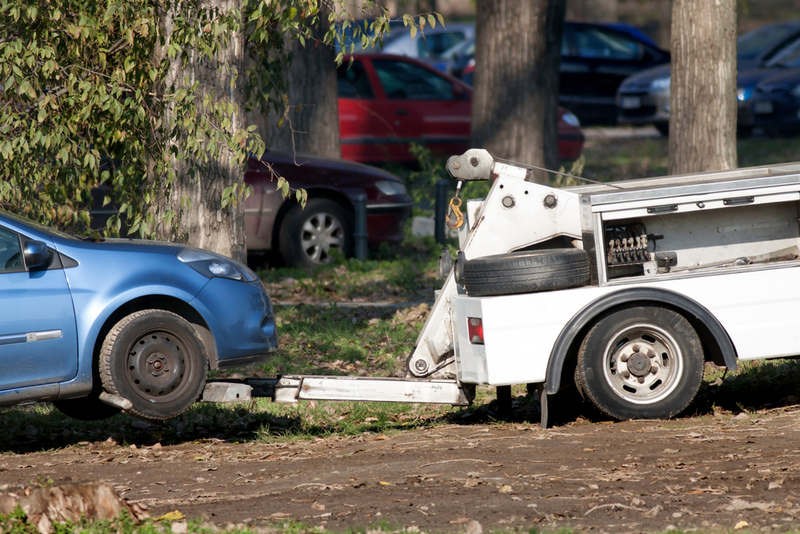 After you’ve had a vehicle towed away from your private parking lot, it’s important to notify the proper authorities (usually the police) as soon as possible afterwards. Doing so will allow the driver whose car was towed to locate their vehicle, as well as protect you in case they decide to refute your claims. If you’re in need of a fast, reliable 24-hour towing company, the professionals from B&M Towing always arrive on time, so contact them today at (718) 318-1370. They also specialize in auto body and repair services, so visit them online for a closer look at what they do.